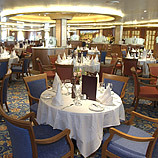 Large Cruise ships have improved over the years and can provide a very smooth trip. 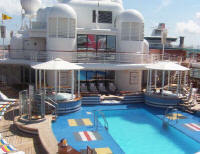 Major cruise lines are having larger and larger new ships built with ever increasing amenities. Most are an excellent travel value, if you don't go overboard (figuratively speaking) with your bar tab, casino spending and shore side excursions, not to mention the art auctions, our personal spending downfall. From Rio around the bottom of South America including the Chilean Fiords. Several times a year a cruise company needs to move its cruise ships from one area of the earth to another. For example during the summer several cruise ships may be doing the Vancouver/Alaska itinerary, but in the winter they need to "reposition" to the Mexican coast, Caribbean or Hawaii. 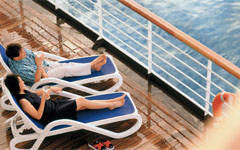 At these times the cruise lines offer, longer cruises for less money yet with most of the expected amenities. If you have the time for a longer cruise, contact us and we will find the best available cruise for you.